Do you have too few USB ports? This aluminum USB 3.0 hub solves your problem of the lack of USB ports! This modern USB hub makes 1 USB port 7 USB 3.0 ports which gives you extra connectivity. There are also two special USB charging ports. With this you charge your mobile devices super fast! Ideal to connect multiple devices, such as USB sticks, mouse, keyboard, etc. super easy with your computer, laptop, Macbook, smartphone or tablet. This high-quality USB 3.0 hub is elegantly designed and made of aluminum. The appearance of the hub fits exactly with Apple products such as a Macbook pro, Ultrabook and a Magic Trackpad. That makes this 7 port USB 3.0 hub in 'Mac style' is a pleasant addition to your desk. Have you ever noticed that your smartphone does not charge as fast (or even at all) via the USB port of your computer? This is because the standard USB 3.0 output is only 0.9A, while most modern smartphones require more power to charge. With BC 1.2 the current output is 1.5A instead of the standard 0.9A of USB 3.0. Thanks to BC 1.2 you can simply recharge your mobile devices quickly! The aluminum USB 3.0 hub is equipped with a Via-Labs VL812 controller and is powered by a 12 volt power adapter (included). Due to the combination of sufficient power and a good controller chip, all 7 ports can be used at the same time without loss of speed. This USB 3.0 hub offers enough space for even the larger USB plugs. Thanks to its slim size, this USB Hub takes up little space on your desk. 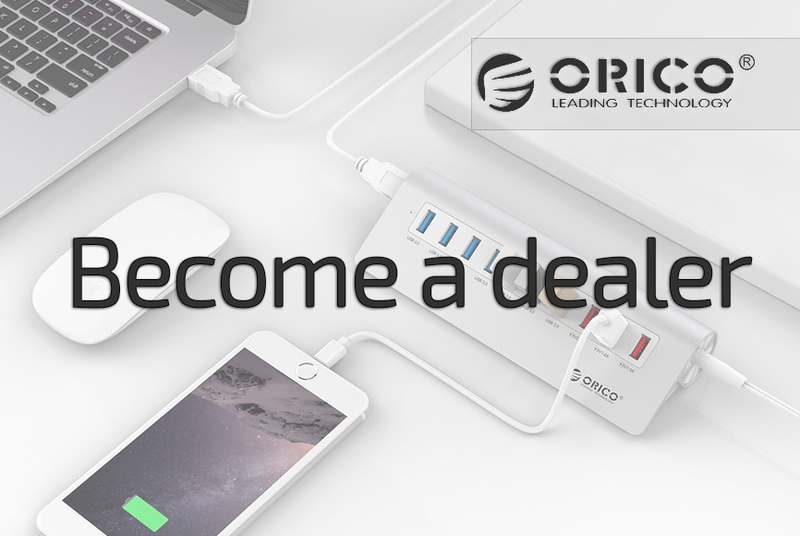 The Orico 7 port hub with BC1.2 is compatible with all Windows, Mac and Linux computers and most common smartphones, tablets, laptops, desktops and other Apple products such as Ipad, Iphone etc. Thanks to the supplied power adapter, the USB 3.0 hub is always supplied with enough power to allow several devices to work simultaneously. The built-in Multi-Safety security system is protected against over-voltage, over-current, short-circuit, leakage current and overheating. No driver or application is required and hot swapping is possible.